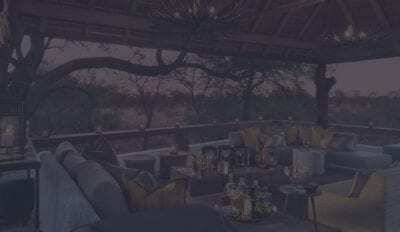 Creating incredible luxury safari experiences for close to 50 years, Wildlife Safari Kenya caters for small groups of discerning travellers who appreciate the majesty of Africa’s wild places, wildlife and wonderful people. Operating in a competitive market, Wildlife Safaris in Kenya required a stand-out digital marketing and sales strategy to inform, engage and convert customers. In partnership with Art Of Safari Consulting, Kri8it was appointed as the digital agency to handle this project. 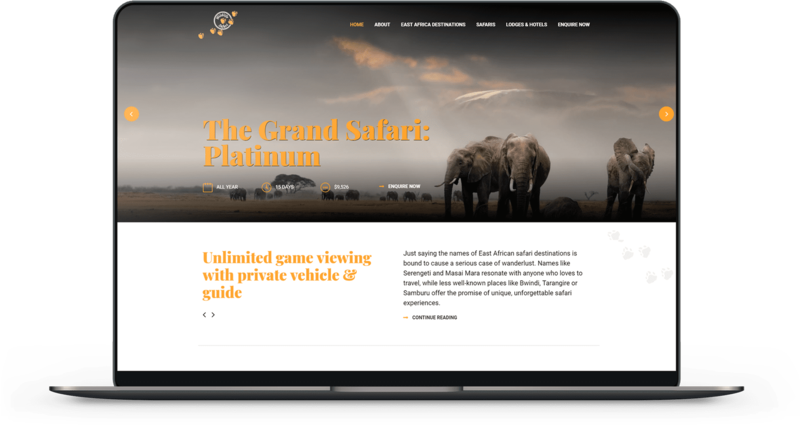 To clearly communicate Wildlife Safari’s unique value proposition as an experienced, independent and visionary brand, Kri8it designed and developed a website that is informative, customer-centric and results-oriented. 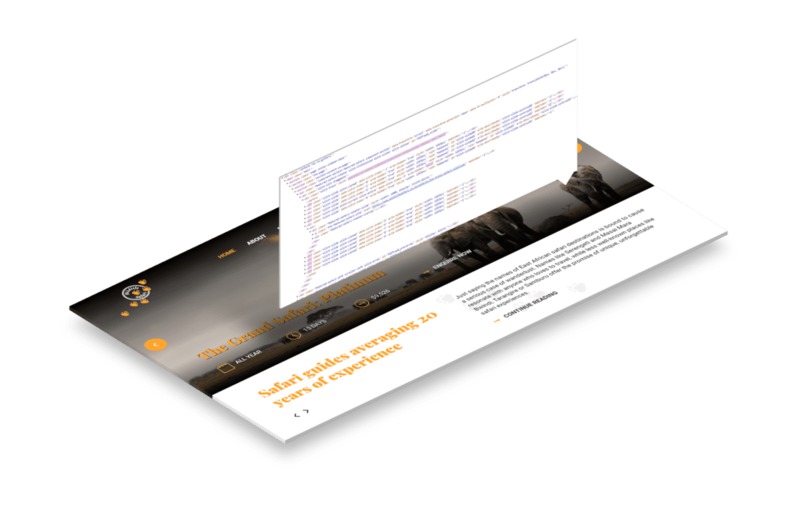 While the previous website was cluttered with an overwhelming number of access points to choose from, we simplified the entire design and structure to create a seamless, appealing user experience. The new website is visually-driven, clean and easy to navigate. To create a smooth journey for each customer, our ‘filter by’ section makes it easy for users to find their ideal safari – customising their search based on location, experience, duration and price range. On the subsequent pages, we used anchor navigation features that enable users to swiftly jump from section to section without having to scroll. This saves time and creates a positive brand experience. The ‘enquire now’ form offers high usability and is designed to generate convertible sales leads for our client. Having worked successfully with Kri8it on a number of projects, our most recent collaboration was no exception. 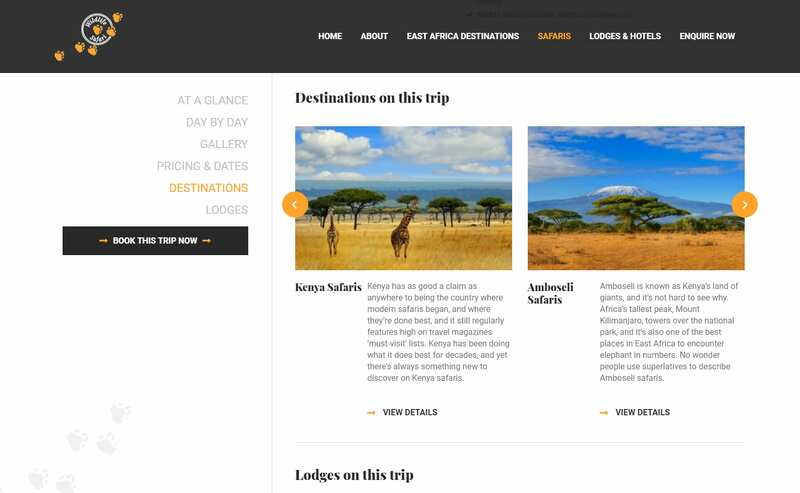 Our brief was to develop a website for a Kenyan based safari travel company that had a specific focus towards highlighting a select range of products and destinations that the client was marketing and selling. 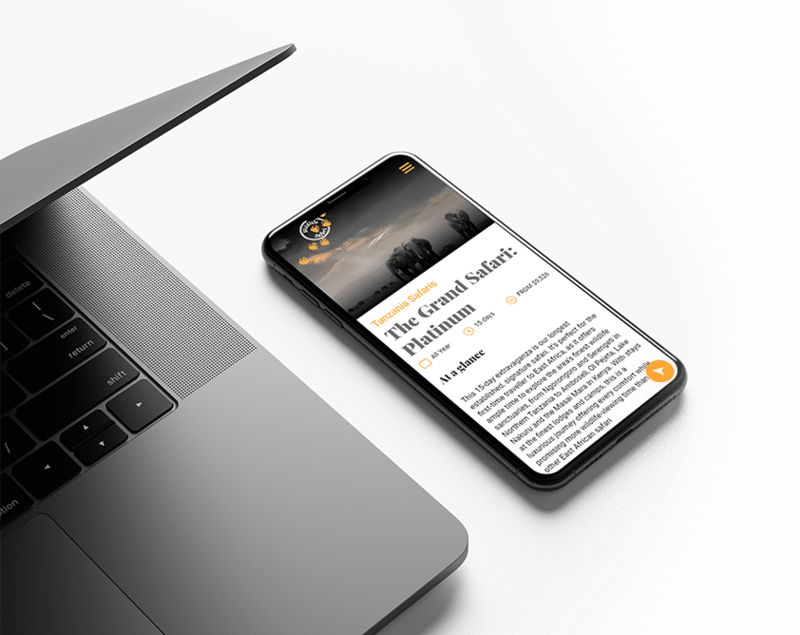 The Kri8it design team produced a beautiful concept, and the development team produced a beautiful and functional website that is ideal for the clients purposes. Have a potential project in mind?